Since Graduating from Tokyo University of the Arts, Atsushi Watanabe has been presenting socially critical artworks based on his and other peoples experiences with emotional scars and mind traps. The subject matter varies from new religions, economic disparity, homelessness, animal rights, sexual minorities, hikikomori to mental illnesses — things which are often viewed negatively and as taboo by society. In recent years, he has worked on numerous projects that used the internet to get the cooperation of emotionally scarred people, in order to investigate hidden social issues, as well as his own experiences as a hikikomori. In doing so, his work tackles the possibility and impossibility of empathy between insiders and outsiders, and of the nature of social inclusion, as well as extending to themes of society, culture, welfare, and psychology. Watanabe’s work seeks the possibility of art that acts directly to make physical and mental interventions in social problems and thereby solve them. Selected solo exhibitions: My wounds / Your wounds (Roppongi Hills A/D Gallery, Tokyo, 2017), Suspended Room, Activated House (NANJO HOUSE, Tokyo, 2014), Yosenabe Hot Pot (Art Lab AKIBA, Tokyo, 2014). Selected Group exhibitions: Koganecho Bazaar 2016 ‘Life - World of Asia’ (Koganecho, Kanagawa, 2016), Asia Panic (Gwangju Biennale Hall, Korea, 2009), Chibatori (Chiba City Museum of Arts, Chiba, 2008). 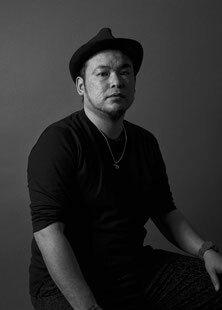 In 2018 Watanabe was selected for the “Arts Commission Yokohama Creative Inclusion Grant.” In 2016/2017 he was selected for the “Arts Commission Yokohama Creative Children Fellowship.” In 2016, he joined ARTIST’S GUILD. In addition to putting out artistic works, Watanabe has also appeared in television programs such as the social welfare program “Breakthrough” (NHK E-Tele, 2016), and “Heart Net TV” (NHK E-Tele, 2018-2019), and contributed writing to magazines, newspapers, and online publications, for the perspective of someone who has experienced social problems, and as a cultural commentator. He also lectures on topics both within art and on other topics. Beginning in 2018, The I’m here project has engaged with hikikomori, to photograph their own rooms themselves. These photos were turned into a photo book. "Suspended Room, Activated House", NANJO HOUSE, Tokyo, 2014. "Yosenabe Hot Pot", Art Lab AKIBA, Akihabara, Tokyo, 2014. Special Exhibition commemorating 130th anniversary of the founding of Tokyo University of the Arts “The Pandora’s box: Finding the Wondrous in the Geidai Collection”, The University Art Museum, Tokyo University of the Arts, Tokyo, 2017. Koganecho Bazaar 2016 ‘Life - World of Asia’, Koganecho, Yokohama, 2016.
Who By Art Vol. 2, SEIBU Shibuya Art Gallery, Alternative Space, Shibuya, Tokyo, 2013. Asia Panic, Gwangju Biennale Hall, Gwangju, 2009. Chibatori, Chiba City Museum of Arts, Chiba, 2008. 3331 Art Fair 2015, Arts Chiyoda 3331, Tokyo, 2015. Art fair Tokyo 2015, Tokyo International Forum, Tokyo, 2015. The 24th Annual Meeting of Japanese Society of Artistic Anatomy: The Decline of the Human (Presentation at this conference), "Why a former hikikomori man continues to make contemporary art", Tokyo University of the Arts, Tokyo, 2017. "Koganecho Bazaar 2016: Atsushi Watanabe discusses his project <Tell me your emotional scars>" Interviewer: Taro Amano (Chief Curator, Yokohama Civic Art Gallery Azamino) , Underpass Studio Site-D Conference Hall, Kanagawa, 2016. "Makoto Aida’s monthly rip-off bar" Interviewer: Makoto Aida, Bigakko, Tokyo, 2015. "A Talk with Atsushi Watanabe" Interviewer: Shigo Jinno (Associate Professor, University of Chiba), Taisei pouch, Kanagawa, 2015. Awarded ARTS COMISSION YOKOHAMA’s Creative Children Fellowship (grant for emerging artist cultivation in Creative City Yokohama), 2016.